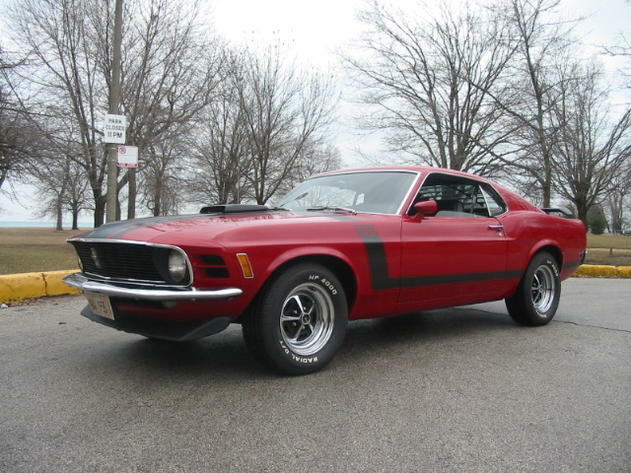 * DESCRIPTION1970 Boss 302. Real deal G code car with Marti Report.Balanced and blueprinted original Boss motor.Factory Red car with black standard interior with Shaker,slats and spoiler. Factory tachometer.Clean original body with painted floors. Perfect running and driving car. Call Ian direct at (773)551-5075.